Does my dog need to be neutered? Preferably all dogs, male and female, should be neutered. It reduces unwanted attention from other dogs and helps prevent the worry of accidental mating. It can also protect from some cancers. Provided your dog is of a suitably grown age, neutering is recommended. Puppies are welcome un-neutered of course; you should seek advice from your vet about the best time to neuter your pet. This is a very important tick on the list of dog ownership. It provides a lifetime of informational cover that could be essential in reuniting you with your dog should your pet ever get lost or stolen. If you wish for your dog to be excersised at our doggy day care facility, it is very important that your dog is microchipped and also wears a collar and I.D. tag bearing your address and telephone number. 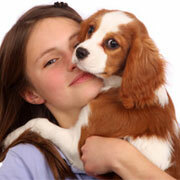 It is very important that all vaccinations are up-to-date before your dog can join us. Some vets are now using a reduced vaccination programme which provides jabs every 2nd or 3rd year for certain diseases. If you are able to provide a valid vaccination card and indicate that your dog is covered for all common diseases, your dog is welcome to join us. It is very important to make sure that your pet does not catch these parasites. Even if your dog has never had fleas before it is much easier to prevent rather than cure. As we walk in parks and grassy areas, it is very easy for fleas to be picked up during a walk. Go to your vet for more comprehensive flea preventative advice. Deworming should be carried out every three months for adult dogs and more frequently for puppies. My dog is ill, what do I do? 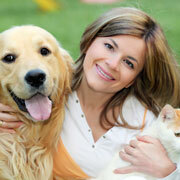 If your dog is in any way unwell, then you should contact us. Although it is likely just a slight tummy upset or something else trivial, it is important that we aware so that we can tell other owners and keep a close eye on the dogs in our care. Unfortunately if your dog is unwell with sickness or diarrhoea, they will not be able to join a group walk for 24 hours after the last bout of illness. Your dog may or may not have been vaccinated for kennel cough. It is highly contagious but in healthy dogs causes nothing more than an annoying cough for a few days. There are vaccines available for kennel cough but as there are many different strains of the illness, your dog can still contract kennel cough even if it has been vaccinated. In any place where dogs mix and socialise like kennels, vets, training clubs, grooming salons, parks etc. your dog could pick up kennel cough. Please note that it is not restricted to kennels. It is a personal choice as to whether your dog is vaccinated; it is not an essential vaccination required for your dog to walk with us. Please note that no responsibility is accepted should your pet contract kennel cough. No dog suffering with kennel cough can be walked in a group walk while they are coughing, or for 24 hours after they stop coughing. Please contact us for further information and advice. My dog has a pre-existing condition. Can you still walk him/her? Provided we are aware of all conditions, treatments and requirements, there is no reason why a dog with health issues will not be welcome with us. Walks can be tailored to your dog's needs. Please feel free to ask and discuss options for excercising your dog. If your dog does not like to mix and socialise with other dogs, we can arrange to excercise your dog alone. We can also recommend a good behaviourist/trainer if you feel that you may like some help with your dog.